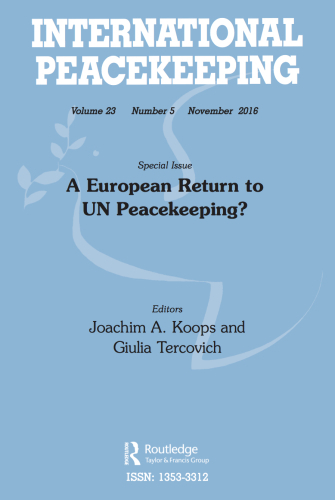 GGI is pleased to announce the publication of the Special Issue of International Peacekeeping on ‘A European Return to United Nations Peacekeeping?’, edited by GGI’s Joachim Koops and Giulia Tercovich. 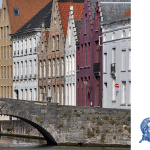 The Special Issue is one of the outcomes of the homonymous Collaborative Research Network (CRN) granted to GGI by the Academic Association for Contemporary European Studies (UACES). The issue takes stock of nine key European countries: France (Thierry Tardy), UK (David Curran and Paul D. Williams), Germany (Joachim A. Koops), Italy (Giulia Tercovich), The Netherlands (Niels van Willigen), Ireland (Raymond Murphy), Denmark (Peter Viggo Jakobsen), Sweden (Kristina Zetterlund and Claes Nilsson) and Norway (John Karlsrud and Kari Osland). 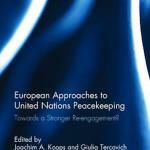 The main rationale of this collection of articles is to provide in-depth case studies of a selected sample of European countries in order to assess the opportunities, challenges and future possibilities of a ‘European return to UN peacekeeping’. The articles consist of both policy papers and theory-guided research in order to connect the analysis of recent and policy-oriented developments to wider and more general theoretical debates on the supply of peacekeeping troops and on the history, track-record and future potentials of European approaches to blue helmet operations. The collection is the results of three events that took place in 2016. 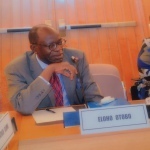 The first CRN workshop was organised on 23rd and 24th February 2016 by the Global Governance Institute in Brussels. During the workshop participants presented the first draft of their papers and received comments from two discussants. The close workshop represented for the authors the opportunity to have a frank discussion and to receive honest feedbacks. 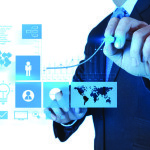 The CRN workshop was organised on 10th May 2016 by the Kent University. During the workshop participants presented the second draft of their papers and received comments from academics and experts. This workshop helped the improvement of the papers and reinforced the scientific ground of the Special Issue. Finally, two panels were organised in the framework of the EU in International Affairs (EUIA) Conference. The first panel assessed France and the UK, as permanent members of the UN Security Council, Germany as a rising European and global power that is currently re-examining its ‘civilian power’ paradigm, and Norway, as one of the main third states contributing to EU’s Common Security and Defence Policy (CSDP) operations and part of the “Nordic group” of European troop contributors. The second panel assessed as case studies the traditionally pro-UN “small powers”, such as Ireland, Sweden, Denmark and The Netherlands. 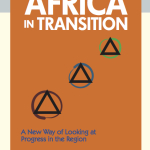 The two panels gave the opportunity to both academics and policy-makers to intervene in the debate and to suggest alternative understanding of the preliminary conclusions presented. 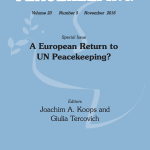 For the ‘A European Return to United Nations Peacekeeping?’ Special Issue, please click HERE. To find out more about the project, please check HERE.